…and Cafe Ceres, SharrowVale Road, together with “Bee Baby” (actually spotted in Waitrose). 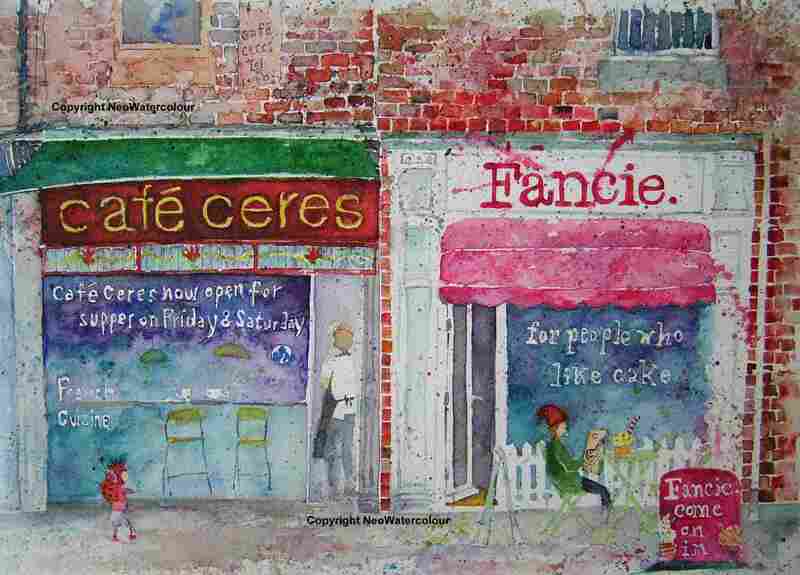 This entry was posted in Sheffield - watercolours and tagged Cafe Ceres, cupcakes, Fancie, SharrowVale Road, Sheffield. Bookmark the permalink. 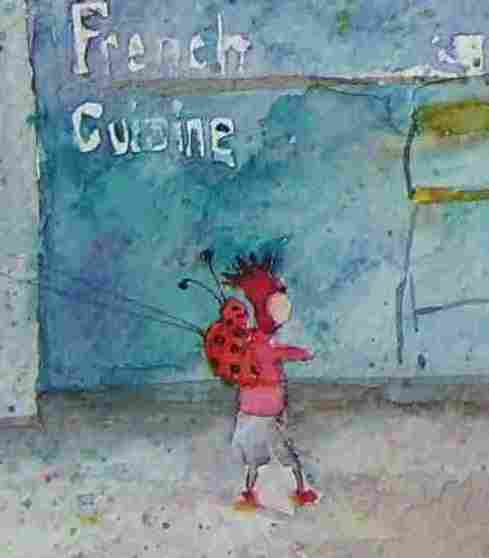 Tam & I loved Bee Baby and wish we were in the UK for the Farmers Market on Sunday. Warm Wishes from us both.